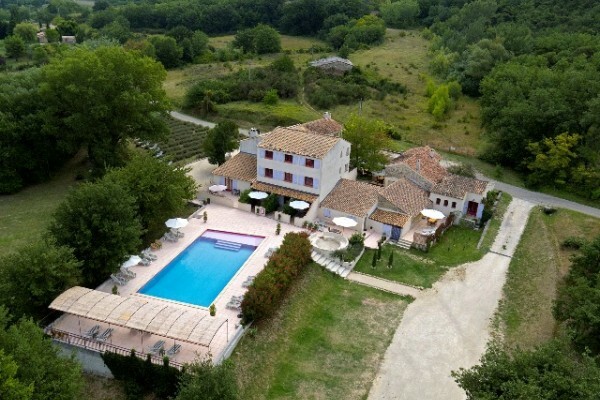 Bed & Breakfast in Chantemerle les Grignan in the heart of the Drôme Provencale, and just a few minutes from the historical city of Grignan with it’s beautiful castle. There is a golf-course within walking distance of our domain and a lot of provencale markets and historical villages. This area of the Provence is loved by walkers and cyclists. 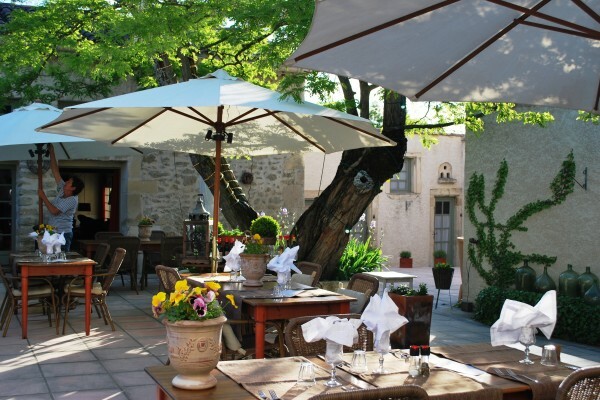 Just two minutes from our beautiful village, Chantemerle les Grignan, it is our pleasure to receive you in the enchanting environment of the Provence. Our domain is surrounded by lavender-fields, vineyards and sunflowers. Peace and quietness are keywords in and around our domain. Find your way in our garden and relax in one of the hidden spots or enjoy our swimming pool. To complete your holiday in the Provence we prepare our “Table d’Hôtes” for our guests several times a week. The 3 course menu is composed with Provencal ingredients. We offer you 3 different kind of rooms. All comfortable rooms have their own bathroom and toilet. Staying with us, is living in the Provence! Willemiek, Marjolijn & Sabine, Robert & Marco. There are three categories of rooms (max. 2 persons): "Charme" on the first and second floor with a stunning view over the swimming pool and the surrounding countryside. These rooms share a large terrace on the first floor. On the ground floor we find "Charme & Terrasse", of the same size as "Charme" but with their own little terrace. For a longer stay we recommend the spacious "Chambre Grande & Terrasse". Whichever room you have rented, you’ll have your private bathroom, comfortable boxspring beds (2 meters long), covered with fresh white linen. There is a desk for your books, maps and laptop plus free WIFI. EUR 75,00 per night roomtype Charme including breakfast in April. EUR 85,00 per night roomtype Charme including breakfast in May. During bankholidays we propose other special offers. * Arrival: every day of the week. * This is just an example, there are packages staring from 5 nights. In our house you will not find the "communal kitchen with fridge" for the evening meal. We do the cooking for you! Our Table d’Hôtes: beautifully laid tables for 2 or 4, fresh ingredients and carefully selected wines. Dusk falls, candles are lit and dinner magically becomes a romantic occasion. For free, based on availability. No experiences yet with Domaine Le Bois des Dames. Be the first! Did you stay in Domaine Le Bois des Dames? Let us know what you thought about it and help others to make the right choice! * I confirm having stayed in Domaine Le Bois des Dames. 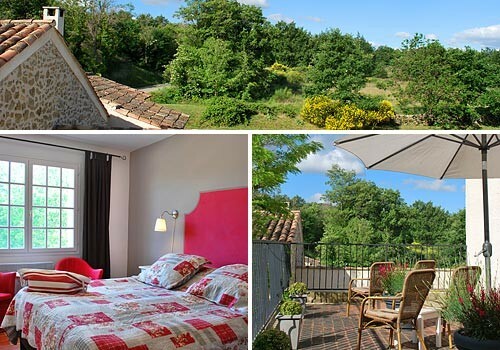 Find other bed & breakfasts in Chantemerle-lès-Grignan, all bed & breakfasts in Drôme or all bed & breakfasts in Rhône-Alpes.